With the arrival of frosty mornings and crisp days, we’re wearing wool more and more on the farm and further afield. Over the past few months we’ve been working with local suppliers to create outer wear and accessories using our beautiful naturally coloured wool. The Fernhill Jacket is one of these items. It’s a partially lined jacket, which is perfect for slinging over a shirt or top to keep the chill out, or for layering over a knitted jumper to keep you toasty on the coldest of days. 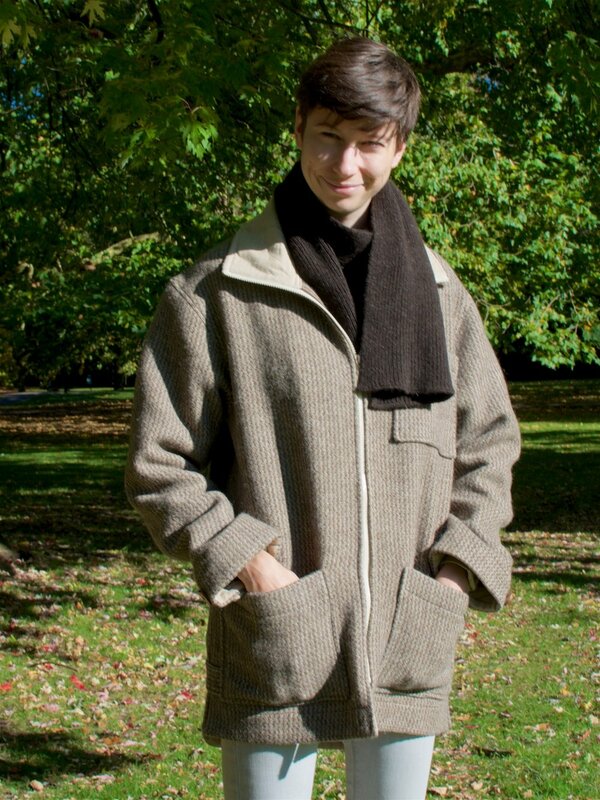 The jacket is made from pure, undyed Fernhill wool, from sheep raised and grazed on our farm on the Mendip Hills. The wool is sent to a mill in Wales to be spun and woven into soft yet durable fabric. This is then sewn into jackets with linen trimming and wooden buttons in a sewing studio near us in Somerset. We focused on practicality with the design. The dense weave and resilient properties of wool mean that the jacket is water resistant. There are large pockets for phone, keys, wallet and room to spare. The collar can be worn down, or pulled upright to protect the neck from the wind. The design is unisex and comes in 4 sizes. If you’re looking for a new coat this winter, this is the perfect way to stay warm and support local production and regenerative farming methods. Jackets are available in our online shop here.